and we’ll travel to faraway places…you and I. ~ by me 🙂 Okay, so I’m not a poet. My Saturday dinner outfit…the food was good, the music not so much, the scenery & the ambiance good, and the company~ the best! Photo by hubby. I had to share…I’m so impressed!! 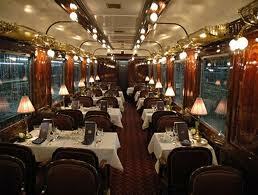 Let me share one of the things on our bucket list….to take a trip on the Orient-Express. It matters not the destination…it’s the emotions of the journey that I want to experience. A train travel exudes mystery and romance…maybe it’s the influence of the Agatha Christie’s Murder on the Orient Express? I would also like to show my appreciation to two wonderful bloggers for my Awards. Meet Beth at The Vintage Style Queen. She loves vintage fashion, especially sunglasses, shoes and bags. Thanks for The Versatile Blogger Award Beth! Meet Amy from Amy Keast, Intuitive. She’s a mother, a wife, a pharmacist, and an intuitive. Thank you Amy for The Very Inspiring Blogger Award! I’m linking up with Patti @Visible Monday and Jill @ Monday Mingle. Go check out the ladies! Incredibly chic!! Love your style so much Jeannie, you look so beautiful here, & the mixture of neutral tones & the styles of the garments you’ve selected are perfect for you! Absolutely gorgeous outfit! Aww…you are absolutely a sweetie! I respect your judgement, so this is very wonderful. Thank you so much! I’ll be sure to let hubby know. Love this weekend look Jeannie! Casual and chic!! And SUPER IMPRESSED with the railroad pic!! Hubby has skills!! I was impressed AND surprised! He’s found a new hobby. Fabulous fabulous fifty 🙂 Just love this look. Your hubs photos are awesome. Hubby’s getting better…he’s having fun, too! You are brave to walk on a railroad with those heels! I’m impressed. How did you learn to walk in heels? When I wear heels like that, I don’t feel natural when I walk — I clomp clomp clomp … I need to learn how. Great outfit — I would wear this. These heels are quite comfortable…I know, it doesn’t look it, but it is. My secret to wearing high heels…you ready? Heel to toe. When you walk, make sure to hit your heels first and glide to your toes. 🙂 Let me know if that helps! what a great casual and chic look! and yes, your husband is quite the photographer! I’m proud of hubby…he’s getting to be quite the photographer! I like this clean and understated look, the black and white contrast is lovely. The neutral cardi is just the right color for a laid back relaxed chic look. The whole outfit is classy and stylish too. Well done again! Your photographer done an excellent job! Thank you! This is a very typical weekend outfit for me…not much drama here…a safe outfit. I’ll relay your approval to hubby. He’ll appreciate it very much! you look so fantastic! the neutrals look so classy. and nice photo by your hubby! Me and my neutrals…can’t seem to get away from it for long. Hubby will be thrilled that he’s got another thumbs up. i adore train travel — and am sad that it’s tough to do here in the US. but i took Amtrak from Oakland, CA to Yosemite National Park, and it was wonderful! But i completely and totally bow down to you — for being able to walk on THOSE TRACKS with those AMAZING SHOES! It’s a talent! I’m pooped and gotta hit the sack…long day tomorrow. Have a great week daisyfae! Talk to you soon! This outfit is so sophisticated and beautiful! I love the combination of colors! We’re hosting our first ever Beautify It Monday link party right now and we’d love for you to stop by and link up! I’ll be sure to check it out! Thanks for the invite! Looking for white jeans this weekend! Hubby loves his photo subject!!! Thanks for your email earlier…you’re such a sweetie! I’m impressed with hubby’s photo to. I have done some traveling by train, but never in a sleeper, which I’m very curious about. I would love to make the trans-Canada train. I’ll relay your approval to hubby…he’ll be happy. 🙂 He’s really getting into photography now. I think the Amtrack has some awesome destinations up the east coast and out west as well! It would be so fun! The white pant with the neutral sweater is something I probably wouldn’t have put together but love it! Thanks for the inspiration. I’ve always loved this combo…not too exciting but my staple go to colors! Bummer about the music,at least there were redeeming factors of the night! Great outfit! I especially love the knit jacket! I like cut and the neutral color…it’ll be nice to have around for those cooler evenings. You look great in this outfit! I think this is my first time I see you wearing a white jeans. And you look fantastically gorgeous!! Hi Jeannie, this post is great. I love the scenery and I love your proposal. The white pants are great and you’re very young. And those heels! that wonder of shoes! You can with them? Perfect. These heels are one of my favorites! They’re high but so comfortable because of the platform, and it goes with just about anything because of the neutral color. I love this look! White jeans/pants are such a great wardrobe basic! I agree! I think black and white is a must for any wardrobe…so versatile!! Wonderful photo shoot, Jeannie – the black and white photo is amazing. I really love your neutral-outfit and esp the white pants – you look so chic, as always. Thanks for sharing with Visible Monday! Effortless chic–that is how I would describe this outfit. And I love that top. I am always looking for tops or jackets that provide sufficient arse coverage–difficult to find (or my arse is just difficult to cover, tough call). 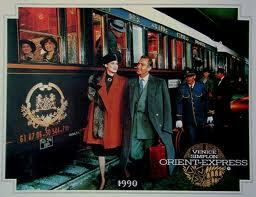 As for the Orient Express…sign me up! 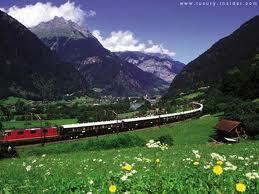 I dream of either rail travel or a river cruise (in Europe). I have priced train travel through Amtrak (so NOT the Orient) many times–would love to cross the USA west by train some day. I like tops to cover mine, too. I don’t have much to show there…oh, how I wish! I have friends who’s taken the river cruise and they rave about it!! I’d take Amtrak for now, it would be fun!! This is one of my favorite spring color combos. It looks great on you…your wear the white pants so well! I also like the B & W picture…have a great week! I just broke another rule by wearing white before Easter….although, I think that rule is kinda outdated. Hubby will be happy that his photo’s getting a good review! The neutrals look amazing on you. I love white jeans. So classic. Your husband is super talented! That photos is amazing. And the pic of the cavaliers just slays me. Lovely pictures. Thanks for inquiring about Happy’s Health. He is much better and wants to come home. Fashionable. The pictures are great! I love the white jeans and the jacket! Have a great week! Happy week to you, too!! Great look! I am so glad it’s time to wear white jeans again. Love it! 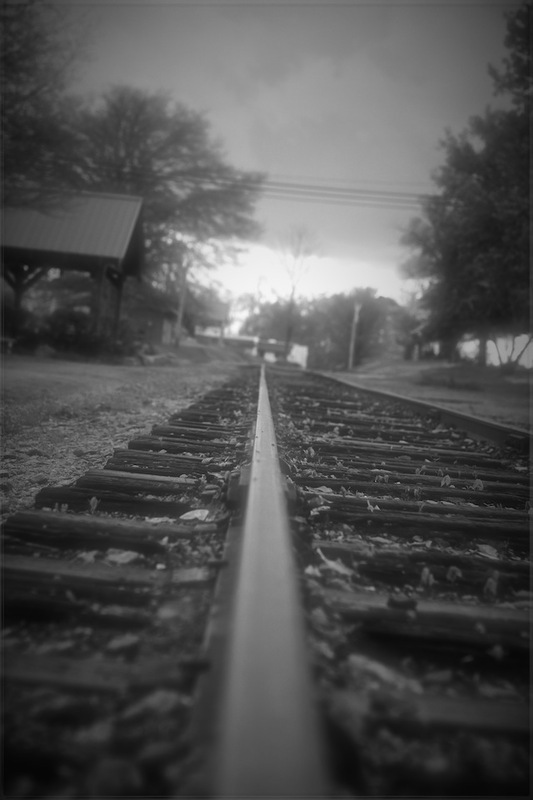 I also like the mysterious atmosphere that the railroad tracks provide. The black and white shot is amazing! I’m wearing white before Easter! Hubby’s really improving with his skills…having fun with it, too. I may just have to start featuring his work on this blog.